Milwaukee is Wisconsin’s largest city and there is no shortage of things to do on your trip here. The city is nestled on Lake Michigan’s south western shore. While Milwaukee is most widely celebrated for its brewing traditions, beer’s not all that’s brewing in this city. 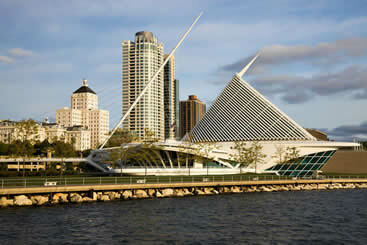 The city has experienced some fairly recent new additions in other areas such the Wisconsin Center, Milwaukee Riverwalk, Milwaukee Repertory Theater, Pier Wisconsin and also there’s been a considerable expansion of the Milwaukee Art Museum. 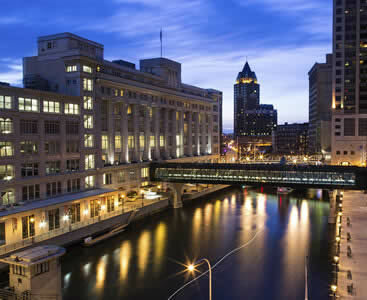 Milwaukee is located along the bluffs and shores of Lake Michigan at the meeting point of of Milwaukee’s three rivers, which are Kinnickinnic, Menomonee and Milwaukee River. Pick up and drop off at MKE airport can be taken via shared ride van, all inclusive sedan or SUV and limos. Rates can vary depending on the destination and number of passengers as well as the type of vehicle you are taking so you should reserve ahead of time for the best rates. There are many ways to travel with Go Riteway Transportation Group from Executive Vans to Limo Coaches to Executive SUVs when looking for transfers in Milwaukee. Specializing in taxi and limo services Talixo can to you to your location with drivers who know the area. The MKE Airport in Milwaukee Wisconsin is one of the most peaceful ones throughout the state. More commonly known as the General Mitchell International Airport, it provides people with exceptionally engaging and fun amenities to cherish. Being a peaceful waiting spot for people who are in search for their flights or for their loved ones, the General Mitchell International Airport has a list of different things to offer. Starting from free Wi-Fi throughout the airport to a well-managed parking area, the airport has a lot to offer which meets the eye. The airport offers its attendees with central air-conditioning, so they can sit comfortably wherever they want – without feeling the scorching heat of the Milwaukee sun. Equipped with a children’s play area for your kids to play at, the airport provides a shuttle and a rail service, which can take you on the best tour of your life. Other than that, the airport has a few eateries which can serve mouthwatering and delicious recipes, while you are waiting for your flight to depart. Once you step out of this beautiful airport, you can visit a collection of tourists’ spots which will take your breath away. Start your tour from the history-oriented Mitchell Gallery of Flight, which not only provides you with a brief introduction of the history of General Mitchell, but also shows you a glimpse of the old Wisconsin. Moreover, if you are an avid reader, make your way to the Renaissance Bookstore and grab yourself a thriller story to read along the flight! Five miles south of downtown Milwaukee resides Milwaukee International Airport, a facility that’s got a good selection of food and other shops, not to mention excellent service from TSA. Avoid having to stick around and look for a ride by planning ahead of time with experienced companies who can offer roomy shared ride vans that are not only affordable, but also just as fast as any street taxi. Private vans can be incredibly useful for storage and extra passengers, but the best perk about reserving a ride with us is the fact that you’ll be riding in the comfort of people you know. By avoiding unnecessary pit stops that would occur on public transportation or shuttles, you’ll have much more time to see great institutions like the state-of-the-art Milwaukee Public Museum, a grandiose facility home to a beautiful natural history exhibit. Another stunning location to consider getting lost in is the massive Milwaukee Art Museum, the beautiful building often considered an art piece in itself. For soft trips through Milwaukee’s less populated parts, book a private sedan from with local providers so that you can travel to beautiful locations like the world-renown architecture of The Pabst Mansion, a museum-house hybrid that is home to the famous beer family that created Pabst Blue Ribbon. Although the Milwaukee County Zoo isn’t in the middle of nowhere, it still has the admiral attribute of being one of the city’s quietest places. Take advantage of this solitude by driving your equally personal private sedan. Have everyone take part in the magic of the famous Wisconsin State Fair Park by booking a private SUV from the equally famous Milwaukee transportation service. If you get tired of eating corndogs while seeing amazing outdoor performances at the fair, head indoors for some high-class shows at the historic Pabst Theater, a gorgeous venue built to wow spectacular audiences. Be sure to contact us for any possible deals, especially if you’re a family on vacation. The impeccable lobster from The Capital Grille is not only one of the city’s finest delicacies, but also a special treat that can’t fully be experienced without a grand entrance. Create your own grand entrance by arriving in style with one of our many luxury limousines, each model as elegant and classy as the last. When you’re all done with supper, wash down the unforgettable taste with artisanal drinks from the quaint speakeasy, Bryant’s Cocktail Lounge. A subtle fact that not many people know about Wisconsin isn’t just the fact that the state is home to the hamburger, but also littered with exciting casinos. Try your luck at the massive Potawatomi Hotel & Casino, a modern tower with amazing hotel rooms and largely spread-out floors made perfect for large parties. Before getting everyone through the doors, take care of transportation by reserving a chartered bus from us, allowing ample room and one-way transportation for everybody. Milwaukee is a city with character, both in its culture and in its physical terrain. Its steep bluffs along the shores of Lake Michigan extend from roughly a mile to the north of downtown. The city spans an area of almost 100 square miles. Even though most of this vast city is located in Milwaukee County, there are two unpopulated parts of the city that spread into the neighboring counties. → The bluffs of Lake Michigan are associated with the glacier paths that are believed to have sculpted them. → The city experiences rapidly changing weather due to its location near the Great Lakes Region. → The winters here are cold, snowy and windy while the summers are humid and warm so make sure that you pack appropriately. This museum is a must-see attraction when you visit this great city. 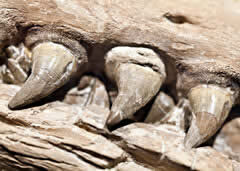 Located in Milwaukee’s downtown area, the Milwaukee Public Museum is a museum of human natural history. 1882 is the year in which the museum was chartered and two years later it was opened to the public. The museum is made up of three exhibit floors and it is home to Wisconsin’s first IMAX Theater. Jurors of Milwaukee County enjoy free admission to the museum at lunchtime and residents of the city are treated to free admission on the first Friday of each month. "Streets of Old Milwaukee" was the museum’s first major exhibit, it went on display in January of 1965. There are also special traveling exhibitions held in the museum but these are only available for limited time viewing. → “Cleopatra: The Search for the Last Queen of Egypt” was hosted in the Milwaukee Public Museum in 2011. 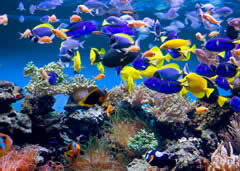 Most of the artifacts that were displayed in the exhibition were discovered under the Mediterranean Sea. → One of the reasons that make the museum worth visiting is the number of artifacts it hosts. The museum is home to four and a half million artifacts from various parts of the world. A science and technology center, Discovery World is a museum whose main focus is on technology and innovation. The museum is an incredible travel destination especially to those who have an interest in technology and science. Discovery World has many attractions for its visitors such as interactive exhibits, two theaters as well as the Reiman Aquarium. → The Great Lakes watershed is an exhibit that addresses freshwater matters. → It is also home to labs and studios that ensure that visitors are involved in creativity, science, technology, environment and innovation. → As you can see, Discovery World is not only a center for having fun but it is also a learning facility. Whichever is your focus, you and your family will have an amazing time here.